Our stock wood mouldings offer you a variety of our most popular species and designs and are on hand and ready for prompt shipment. If you like, you may choose from our large selection of additional profiles and we will custom run your order from the wood of your choice. BristolMade Moldings – You choose the style! You choose the wood! Our new custom wood molding division enables us to offer great savings, variety and timely delivery of the moldings used to trim beautiful rooms. Whether matching intricate Victorian casing or creating a design, we are fully equipped to duplicate your molding quickly and accurately. 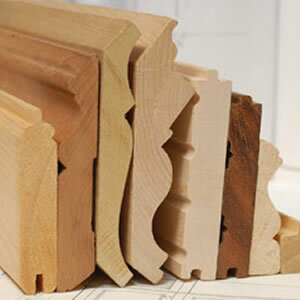 Moldings are manufactured to meet our customers’ specifications and shipped via common carrier or our own truck. Send us a sample or full-size detail of your current molding and we will produce an exact replication. In addition, we can recommend hundreds of molding profiles in many species — domestic or imported! Call us at 1-800-724-0132 or stop in at our Bristol, New York location for your stock or custom molding needs. Our hardwood wall plates are all manufactured in New York State from quality hardwoods and are available to purchase in our store. 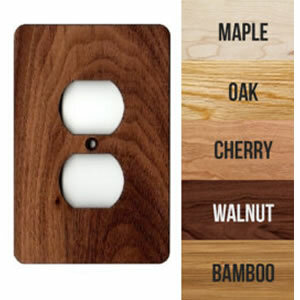 Additionally, custom hardwood wall plates are available. Just send us a request and let us know what you need. Hardwood wall plates are available in any of our domestic hardwoods or exotic hardwoods. Wall plates are available in many sizes and layouts.